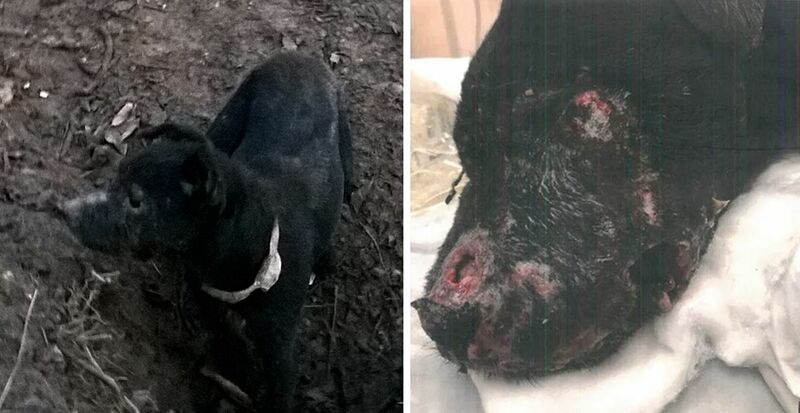 The dogs, known as Dizzy and Paddy, suffered severe damage to their muzzles, which police say were consistent with injuries caused by a badger defending itself. Melton both dogs were injured, Paddy’s injuries were particularly shocking. Shockingly, one of the dogs was “very far into pregnancy” and gave birth just weeks after being forced to hunt down the badgers. The men were all engaging in badger baiting – a blood-sport where a pack of dogs is released into a badgers home. When the dog finds it, baiters dig down to get hold of the wild animal – it is then usually either attacked again or sold to underground groups. Richard Willey, 46, of Hull, as well as John Horner, 19, and George Horner, 26, both of Bridlington, were guilty of offences contrary to the Protection of Badgers Act 1992 and the Animal Welfare Act 2006. Also found guilty for the same offences were Andrew Booth, 44, and Kirk McGarry, 50, both from Doncaster. All five men will be sentenced on January 23. Badger sett with spades at side and net over the entrance. The incident, which took place last December, was reported to the police by a man who spotted the group digging into the sett at Melton. Wildlife crime officers attended the scene and arrested four of the men before a fifth was identified later after running away when he spotted police. The two dogs were wearing locator collars which are used to find the dogs underground once they have made contact with a badger so that both the dog and badger can be retrieved from the sett. Two other younger terriers were also present but weren’t used. Chief Inspector Iain Dixon after the trial said: “Badger persecution in all its forms is a national wildlife crime priority which Humberside Police takes very seriously indeed. “In this particular case one dog named Dizzy was very far into pregnancy, giving birth within a few weeks of the incident which shows the uncaring and callous nature of those involved all the more.